Closer to home, Sandra Loh circumnavigated Peninsular Malaysia, together with Mak Shiau Meng, in 2009. 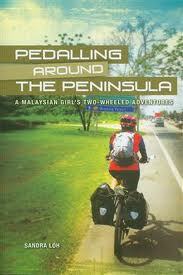 I have a signed copy of Loh’s “Pedalling Around the Peninsula: A Malaysian Girl’s Two-Wheeled Adventures.” Perhaps the most amazing statistic is that she cycled 2,664 km / 1,655mi without a single flat tire. The most tragic ride story is told by David Herlihy in “The Lost Cyclist: The Epic Tale Of An American Adventurer And His Mysterious Disappearance“. This is also a story of a man attempting to circumnavigate the globe by bicycle, but in a very different age to Beaumont’s. Frank Lenz started his ride in 1892, on the then innovative safety bicycle, complete with new-fangled pneumatic tires. Lenz makes it most of the way around the world before disappearing in eastern Turkey. Now onto the books that don’t fall neatly in one classification or another. Like “Bicycle Love: Stories of Passion, Joy, and Sweat” edited by Garth Battista. A compilation of 60 or so essays on the many varieties of bicycle love. 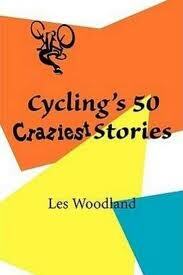 Another compilation of improbable, silly, crazy and absurd, but all true stories is in “Cycling’s 50 Craziest Stories.” It is written by Les Woodland, a doyen of British cycling authors with eighteen books on the subject to his name. The tell-all book that shook the sport in 2012 was “The Secret Race: Inside the Hidden World of the Tour de France: Doping, Cover-ups and Winning at All Costs” by Tyler Hamilton and his co-author Daniel Coyle. 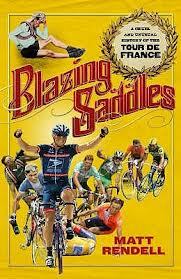 This book came out as the Lance Armstrong story was coming to a head. It talks about all the significant doping scandals of the past 15 years with a level of detail not seen before. The sport of professional cycling will never be the same. A book that doesn’t talk about doping but is otherwise an all-one handbook of cycling is “The Complete Bike Book” by Chris Sidwells. He writes about the history of the bicycle, the essentials of riding, choosing the right equipment and clothing, riding technique, and bike maintenance. 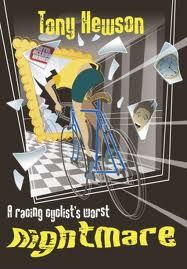 There is something here for beginner and experienced cyclist alike. At the other end of the spectrum is a book that does just one thing, and does it very well. 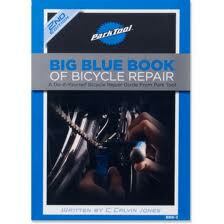 The “Big Blue Book of Bicycle Repair” by Park Tool. Park Tool makes bike tools, so the company knows a thing or two about bicycle maintenance and repair. This was the recommended text at the bicycle maintenance course I took. Enough said. This next item is on the left side of the shelf and sticks up above all the other books. It is not a book in the traditional sense. I had to look up what a leporello book is. “Bicycle,” created for the London 2012 Olympics, is Ugo Gattoni‘s vision of a madcap bicycle race through the streets of London. The last book in my collection is also a picture book. Graham Watson is a renowned cycling photographer. Organized by season, this book takes readers around the globe, from the Australian championships to the Tour de France, always showing the peloton against a backdrop of exquisite, compelling scenery. Just the thing for a rainy day. Posted in Cycling in Malaysia and tagged Bicycle, Books, Cycling, Maintenance, Round the World, Short stories. Bookmark the permalink. Still Too Wet to Ride? 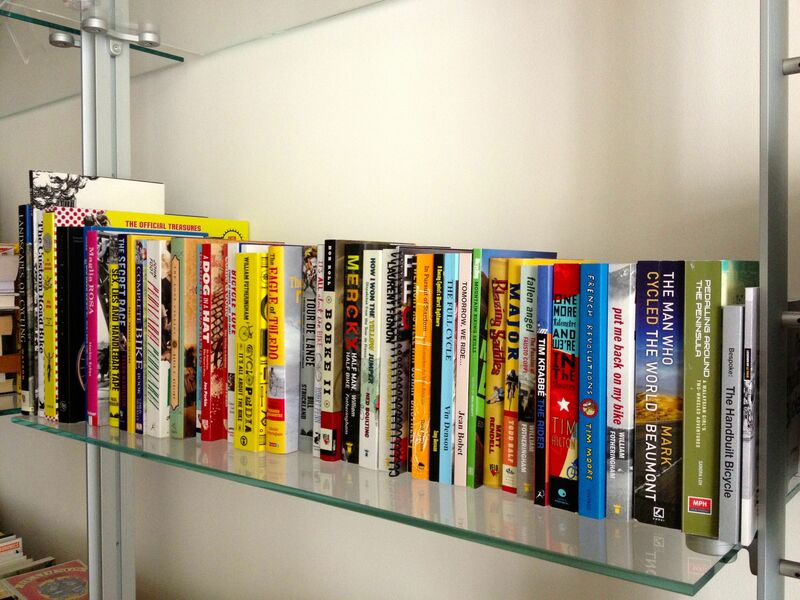 Yesterday I listed the biographies and autobiographies in my collection of cycling books (see Too Wet to Ride?). Today I will start with a memoir and a more general review of the cycling stars from the golden age of the 1940s, 50s and 60s. 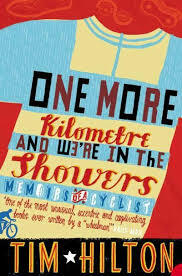 Tim Hilton wrote “One More Kilometre and We’re in the Showers.” Hilton’s breadth of knowledge and interest is evident in this scrapbook of cycling lore. Tony Hewson of “In Pursuit of Stardom” fame wrote another book about the era of UK cycling in the aftermath of World War II. “A Racing Cyclist’s Worst Nightmare: And Other Stories of the Golden Age” is a collection of short stories written in a variety of genres: autobiography, biography, discourse and fiction. Now onto books about major races. They don’t come any bigger than the Tour de France. There are countless books about the Tour. I have “Blazing Saddles: The Cruel and Unusual History of the Tour de France.” Matt Rendell complements his vivid storytelling, sometimes of the unsporting and unsavoury underbelly of the Tour, with more than 100 classic black-and-white photographs. Ned Boulting spent eight years covering the Tour for ITV. 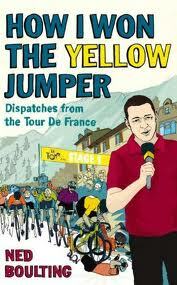 “How I Won the Yellow Jumper” chronicles his journey from being dropped into the roving reporter role, despite having no knowledge of cycle racing, through to becoming the Tour commentating equal of the likes of Phil Ligget and Paul Sherwen. Bill Strickland co-wrote “We Might As Well Win” with Johan Bruyneel in 2008. 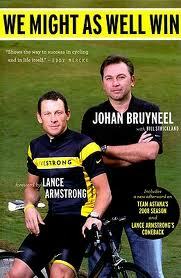 Bruyneel built an enviable reputation as a Director Sportif, winning thirteen Grand Tour championships in eleven years. This book is about how Bruyneel, his teams, and his star riders Lance Armstrong and Alberto Contador, dominated the Tour from 1999 to 2010. My biker chick was a fan of Bruyneel’s, at least until he fell from grace after the USADA formally charged him with administering a long-running doping program. To this day she says that he broke her heart. 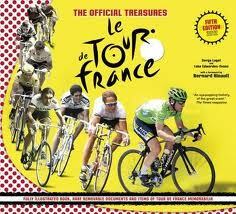 My favorite history of La Grande Boucle is “The Official Treasures of Le Tour de France” by Serge Laget and Luke Edwards-Evans. This is a compendium of historical tidbits, 275 archive photographs and 40 removable facsimiles of posters, postcards and other Tour memorabilia. You will love this book if you are the type who pushes all the buttons on science museum displays. There are books about particular editions of the Tour. 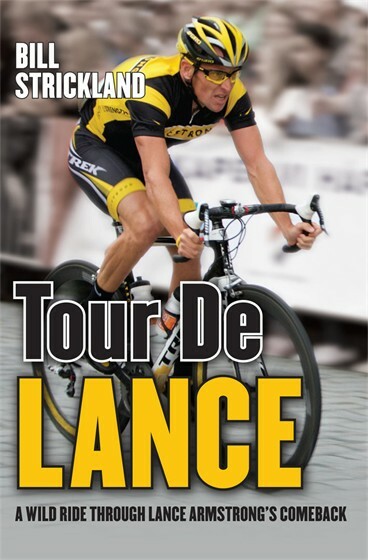 Like “Tour De Lance.” Bill Strickland had unprecedented access to Lance Armstrong as he attempted an audacious comeback to win the 2009 Tour. With his main rival Alberto Contador for a team mate no less. 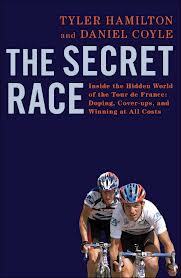 This is another book that I need to reread now that Armstrong is no longer a winner of seven Tours de France. Tim Moore is a British travel writer who rode the entire route of the 2000 Tour. 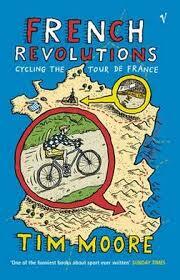 “French Revolutions: Cycling the Tour de France” is his irreverent diary of that trip, as well as an homage to bike racing. 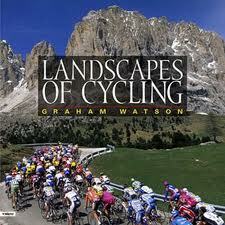 I have only one book about the Giro d’Italia. 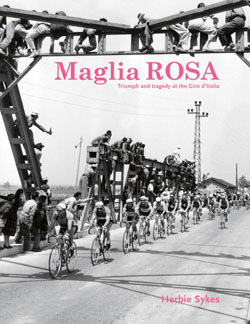 Herbie Sykes‘ second cycling history book, “Maglia Rosa: Triumph and Tragedy at the Giro d’Italia.” This does not read like a history book though. Sykes presents a collection of stories together with 150 images to create his tale of the Giro. The Giro is central to Italian cycling. It gets a big mention in this book about the history and impact of cycling in Italy. “Pedalare! Pedalare! A History of Italian Cycling” by John Foot. Foot is a Professor of Modern Italian History at University College London. He has written extensively about Italian history, including three books on Italian soccer. 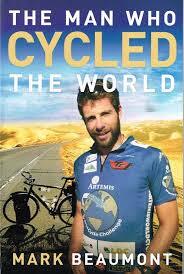 He brings with him a historian’s eye rather than a sportswriter’s take on cycling in Italy. I need to add a book about the third of the Grand Tours, the Vuelta a España, to my collection. Actually there are many books that I want to add to my collection. Where is that Kindle? I have books about riders. 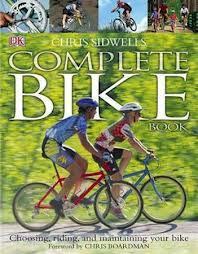 I have books about races Naturally I have books about bicycles. Or more properly in this case, a book about a show about bicycles. 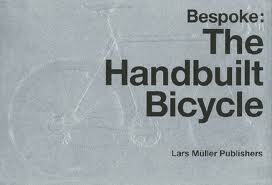 “Bespoke: The Handbuilt Bicycle” is the catalog produced by Lars Müller Publishers for the NYC Museum of Art and Design exhibition of the same name. 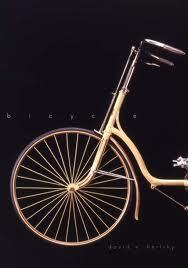 An exhibition of the work of six internationally renowned bicycle builders. Robert Penn takes a slightly different approach to building a bicycle. 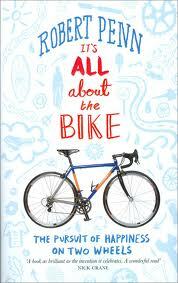 “It’s All About the Bike: The Pursuit of Happiness on Two Wheels” is about his quest to put together the perfect bike. He takes his readers on a journey around the world visiting the factories and workshops where the parts for his custom bike are made. That man William Fotheringham pops up again. This time as the author of “Cyclopedia: It’s All About the Bike.” An encylopedia-like collection of everything Fotheringham has learned whilst reporting on professional cycling for the past 30 years. Something you can read from A to Z, or just dip into at random. 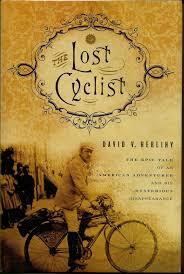 A true history of the bicycle is what David Herlihy produced. 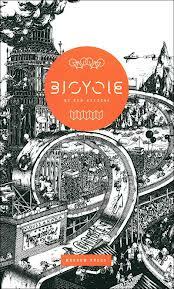 “Bicycle: The History” may sound like an overly-confident title, but this book lives up to it. 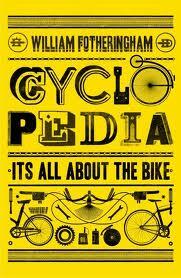 It is the definitive history of the bicycle. The last book on my shelf about bicycles themselves is by Guy Andrews. Andrews is the founder and co-owner of Rouleur, a bi-monthly British cycling magazine. 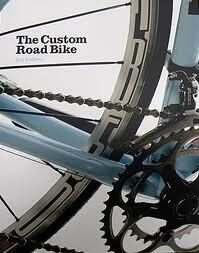 Rouleur is noted for its design and its photography. So no surprise then that Guy Andrews’ book “The Custom Road Bike” is also beautifully designed and is full of lovely photographs. Photographs of the very best bicycle components. You will drool over this book so much that you might as well have gone out in the rain. More books in my next post. Posted in Cycling in Malaysia and tagged Bicycle, Books, Custom, Cycling, Giro d'Italia, Tour de France. Bookmark the permalink.